Ian spent the first 10 years of his career in retail banking working across many areas of retail banking both across the branch network and in head and regional office roles. 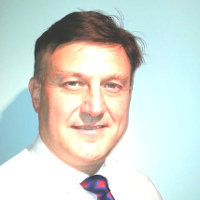 He joined Unisys as a Banking Systems Consultant and Project Manager and has worked in IT for the last 20 years. His last 10 years has been spent in custom software development using Agile and Lean based delivery with onshore, offshore and distributed teams.